WILL CALL ITEM: AVAILABLE AT OUR DENVER AREA SHOWROOM! 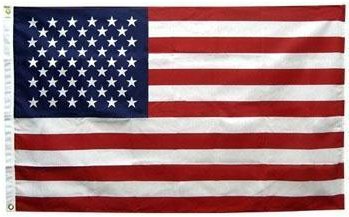 ALL Annin US Windsocks and Flags are made 100% in the USA! Every NYL-GLO ColorFast U.S. Flag Shipped from Annin Distribution Centers is packaged with a guarantee program. This program ensures that every flag will stay color fast for ONE FULL YEAR from date of purchase or Annin Flagmakers will replace it with a new Nyl-Glo ColorFast flag at no charge.